Description: The Crime Reports: Episode 4! Packed with mystery, adventure and a hidden treasure!. 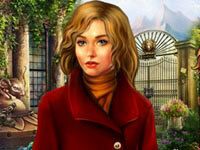 The Crime Reports Episode 4 is a Hidden Object Games.